Experience unique moments amid pristine nature. There’s probably no other Alpine region that’s better suited for winter hiking than the Tirolean Tannheim Valley. Being situated at an altitude of 1,100 m above sea level and having an almost flat valley floor is what makes this hiking paradise so unique in Tirol. 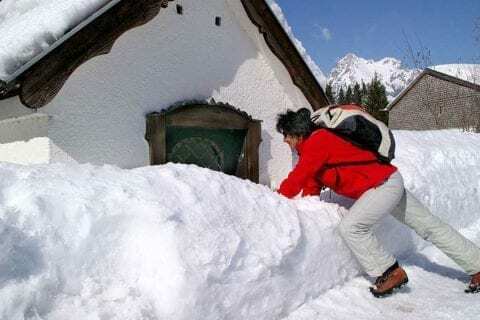 On top of that, there is always plenty of activity on the more than 81 km of cleared winter hiking trails, and there are lots of cosy inns and restaurants to warm up in along the way. The inspiring landscape, the fresh mountain air and the glorious silence will make your day of hiking an unforgettable experience! Whether you fancy an easy stroll just to enjoy the landscape or an ambitious ascent to a summit, the range of tours available caters to all preferences. The variety of hikes covers everything from short, leisurely strolls in the village to demanding hikes. Beautiful hikes to Lake Vilsalpsee or across the frozen Lake Haldensee are among the highlights. A high-altitude hike at the summit of the Neunerköpfle is equally fascinating. 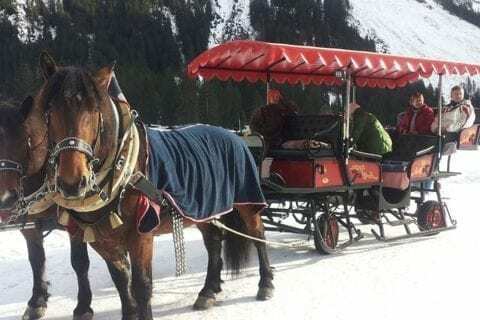 After a cable car ride you’ll find yourself high up in the mountains, where the winter trails are cleared daily and offer fabulous views of the surrounding mountain peaks. Those who like to take it easy and are more interested in leisurely strolls than in hiking will love sauntering through the little hamlets and villages in our valley. Guthof Lutz has a number of routes you can choose from which are excellently suited for a morning stroll before or after breakfast or for a breath of fresh air in the evening. This is quite an experience. Winter walking in lofty heights (including summit ascent). And, as you can get up there by cable car, very comfortable too. Up on top of the mountain, the paths are well-maintained, especially for winter hikers. 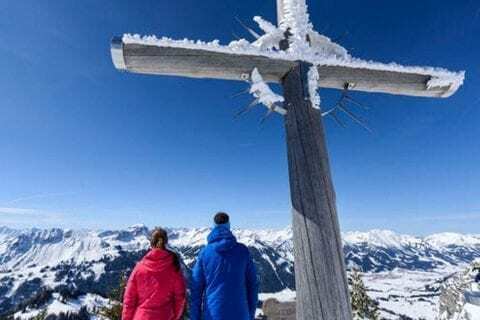 For example, to the Neunerköpfle with the biggest mountain summit book in the Alps or to the Gamskopf near Grän with its 2.90-metre ‘hat’ and ‘panorama informator’: an experience not to be missed. After your walk in a sparkling winter wonderland, you can end your day in the cosy warmth of our spa area. No matter whether you hike to the Zugspitzblick or to Vilsalpsee nature reserve: Each of these tours is unique in itself. You can start your uphill walk to the Zugspitzblick from Guthof Lutz. These hikes are often combined with a ride in carriage, for example to Vilsalpsee.